Chef menu Spring in Marche prepared for you Radek Hasman, which acts as a creative chef and executive chef bistros at La Bottega. 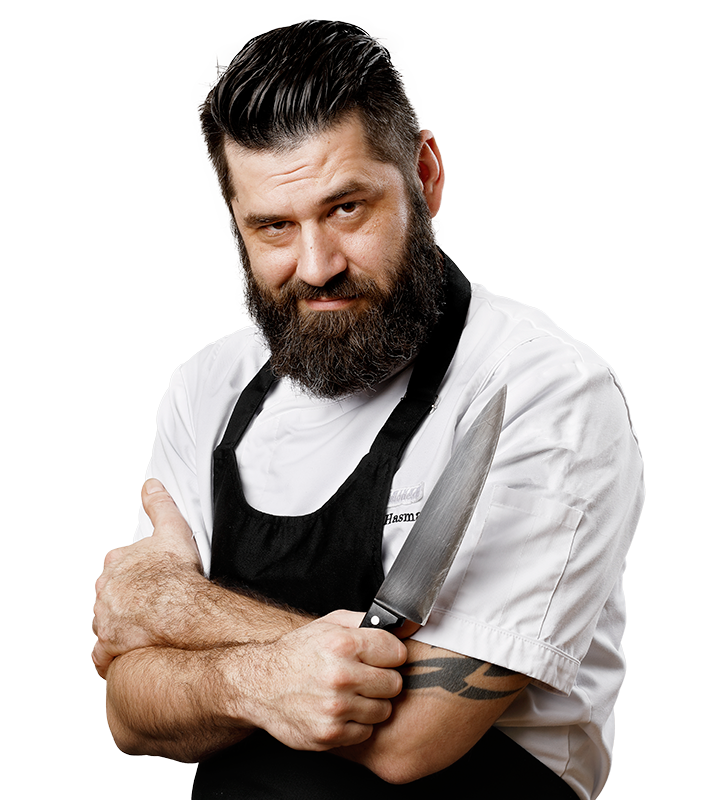 In his home restaurant La Bottega Tusarova together with the team charted for the next year no small goal - to be recognized by the Michelin Guide. Chef menu Spring in Marche prepared for you Radek Hasman, which acts as a creative chef and executive chef bistros at La Bottega. 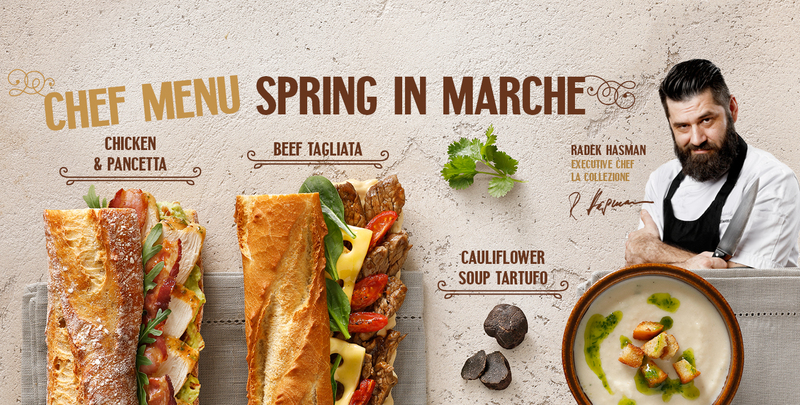 Taste the new menu inspired by the enchanting region of Marche in central Italy. Chef Spring menu in Marche prepared for you Radek Hasman, which acts as a creative chef and executive chef bistros La Bottega. In his home restaurant La Bottega Tusarova together with the team charted for the next year no small goal - to be recognized by the Michelin Guide. Marche region is famous for its long beaches, pine groves and architectural monuments registered on the UNESCO list. Gourmets, however, will take more subtle and somewhat unsightly fungi that belong to the rarest and most expensive raw materials in the world. It is of course about truffles. The first of two baguettes, which you can taste the Chef menu is Beef Tagliata. Hiding inside the navel beef sliced, marinated in a demi-glace and then slowly baked with maple syrup. Taste baguettes further develops roasted tomatoes with ginger and cane sugar, cheese and baby spinach. All pleasantly combine mayonnaise caramel. Unconventional pairings of flavors promises baguette Chicken & Pancetta. Chicken roasted with thyme adds crispy pancetta dried at 70 ° C and avocado salsa with tomatoes. Taste baguettes highlights spicy arugula. The menu of the Marche can not miss the Italian pearl - truffles. Truffle chive oil find on Cauliflower cream Tartufo. Fresh green springtime beckons oil, soup complement the exclusive toasted croutons. We guarantee that you'll want to add. Spring menu has lightened its continuation time. Two dishes from the menu Fit Calories will surprise you with variety, fills you up and keeps you fit at the same time. Combined with pumpkin bread is called Verde Caprino. Taste traditional goat cheese quader de Cavro interlaced with green tomato, lettuce Little Gem, avocado and dressing of fresh herbs. 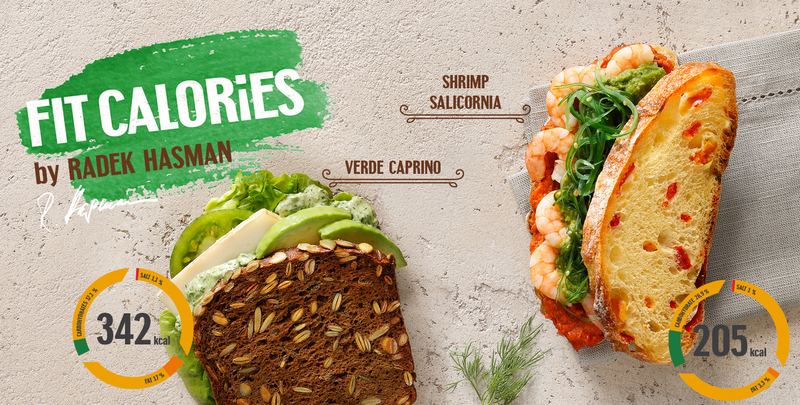 Second is Shrimps Salicornia inserted between the two pepper bread. Radek Hasman ingeniously combined shrimp, juicy peperonatu of roasted red peppers and seaweed with sesame. Seasonal and fresh ingredients in refined editing simply love.